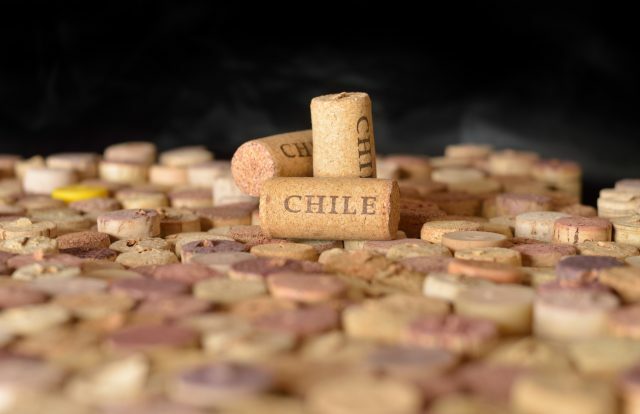 UK importer and supplier Enotria & Coe and Chilean wine giant VSPT have announced a new extended partnership in the on- and off-trade which will “challenge the perception of Chilean wine in the UK market”. Speaking to the drinks business yesterday, Cristián Le Dantec, commercial director for the Viña San Pedro Tarapaca Wine Group (VSPT) Group and Jon Pepper MW, buying, marketing and retail director at Enotria & Coe revealed the details of the new partnership. The collaboration will see Enotria & Coe gain exclusive UK distribution rights to VSPT brands including 35 South, Sideral, Tarapacá and Viñamar and launch a targeted campaign in both the on- and off-trade designed to appeal to the UK consumer. Pepper said: “In the UK, sales of Chilean wine are mostly holding up in the off-trade, but in the on-trade they’re really struggling. One of the advantages of working with VSPT is that they’re a large and diverse wine group so the partnership offers us flexibility and the opportunity to create something tailored to the UK market. “We’ve created a pyramid of brands for each channel which is targeted and built specifically for this market”. Le Dantec added: “This partnership is on a much larger scale than our previous collaboration with Enotria and aims to develop the Chilean wine category in the UK using our extensive portfolio”. The VSPT Group is the second largest exporter of Chilean wine and the leading wine producer in the domestic market. It manages over 4,000 hectares of vines and produces 16 million nine-litre cases a year. Le Dantec continued: “Our partnership with Enotria allows us to benefit from their distribution arrangements, point of sale and knowledge of the British market”. The partnership, negotiations and product development has taken a year to engineer to create a “tailor-made, competitive portfolio designed for the UK market”. In the on-trade, Casablanca-based winery Viñamar has benefited from a packaging refresh in order to attract attention and appear more relevant. Pepper told db that this range was aimed at “the house-level plus one”, a price-point he believes Chilean wine should target. “I believe there’s a real opportunity in this category and people are increasingly willing to trade-up. In terms of wine style, people are now looking for something contemporary, accessible, food-friendly – something with a real fresh, savoury edge. We’re seeing that people are drinking less but better. They’re moving away from the more fruit-dominant styles, palates are maturing and preferring lighter, more restrained styles of wine”. To reflect this change, the new packaging has a distinctive coastal theme which Pepper believes will reflect the “more European-style” of the wine contained within. In the off-trade, Enotria has worked with VSPT to create an exclusive range for the multiple off-trade channels, including the relaunch of brands including 35 South and Tarapacá in new, more vibrant packaging. Pepper continued: “With this new packaging we’re targeting a younger consumer and providing more variety in what currently is an anodyne market. “The Chilean wine category has a good balance between accessibility and quality, but I feel this is often not reflected in its packaging. This new range is about challenging the UK perceptions of Chilean wine and introducing more freshness, acid and a bit less fruit”. Le Dantec describes the 35 South range as fruit-forward, easy to drink and accessible. Priced at £5, it is intended as an introduction to the Chilean category. Tarapacá meanwhile, of which a total of one million cases are exported each year, inhabits the £7-12 price range, aimed at what Pepper describes as the “£8-10 sweet spot which is driving growth in the sector”. The partnership will be officially launched today and promoted via consumer events in both London and Leeds in coming weeks.